“Heroes will come of this,” Trump said. Manafort, who agreed to cooperate with the special counsel and had been fielding questions from them since September, was convicted of financial crimes in late August, marking the first major prosecution won by Mueller’s team in the investigation into Russian meddling in the 2016 election. 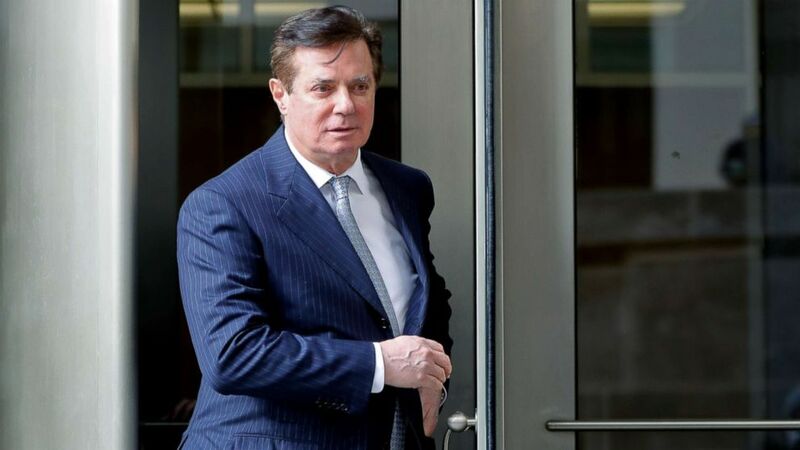 The latest developments have renewed questions about whether President Trump might pardon his former campaign chairman for his crimes. Trump has not ruled out the possibility and has repeatedly told reporters when questioned on the topic that he does not want to discuss it. The president has previously expressed sympathy for Manafort’s legal woes, even comparing how he’s been treated to the infamous mobster Al Capone, and pointing to his case as one piece of what he sees as a broader “witch hunt” to hurt Trump and his allies. “I feel very badly for Paul Manafort,” Trump has said of his former campaign chairman. “I must tell you that Paul Manafort is a good man. He was with Ronald Reagan. He was with a lot of different people over the years. And I feel very sad about that. It doesn’t involve me, but I still feel — you know, it’s a very sad thing that happened. This has nothing to do with Russian collusion. This started as Russian collusion. This has absolutely nothing to do — this is a witch hunt, and it’s a disgrace,” Trump told reporters in August. In voicing sympathy for Manafort, Trump has expressed particular admiration for the fact that Manafort stood trial as opposed to “flipping” to secure a more lenient deal with Mueller’s team, a concept that the president has suggested should be illegal. ABC News’ Katherine Faulders, John Santucci and Matthew Mosk contributed to this report.